These look great! Where are the halftracks and universal carriers from? Also the command figures and motorbike riders? 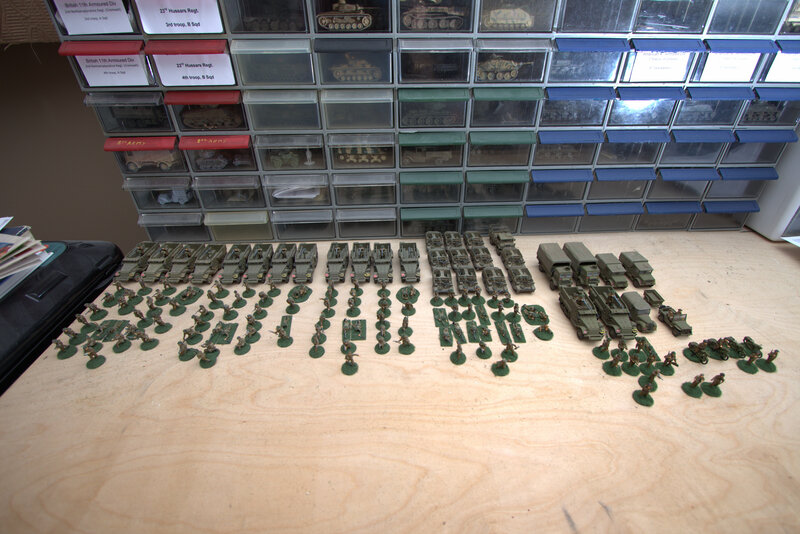 Harry, the halftracks and carriers are from Plastic soldier company. 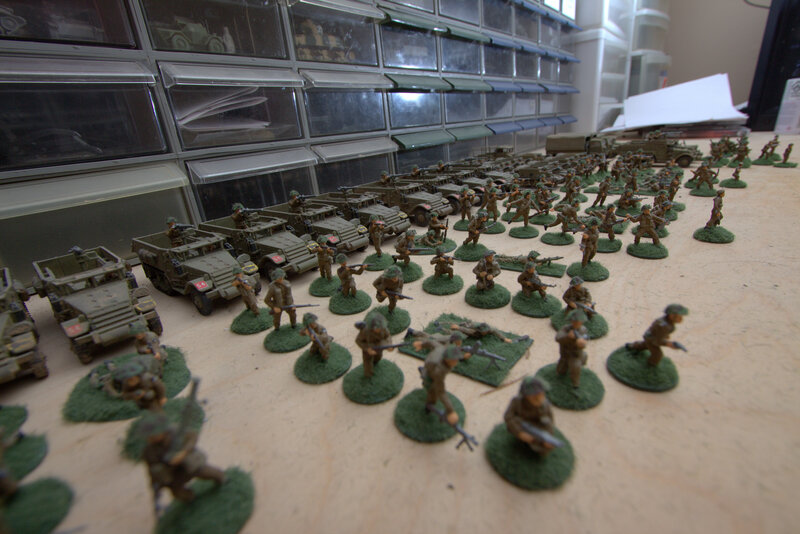 The command figures are AB miniatures. Glad you like them. I will be updating my WW2 US soldiers soon. Also how do you base the figures? 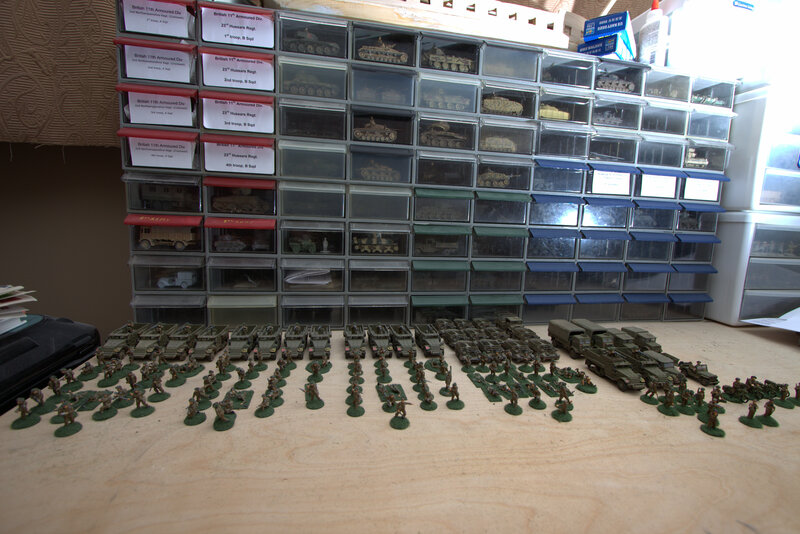 Hi Harry, I base them on 1/4 inch washers for 1/72 scale and on 5/16 washers for 28mm. Solid base with a little weight to stop them from falling over. Use 2 part epoxy to mount them. Then white or green putty to even them out. Once the figures are painted I use model railroad grass to finish them off. Cheap and very effective. Hope this helps. Finally, what paints do you use for the soldiers? I paint most periods so I have hundreds of paints. I use mostly acrylics but some enamels like Humbrol, Testors and White Ensign for Navy. 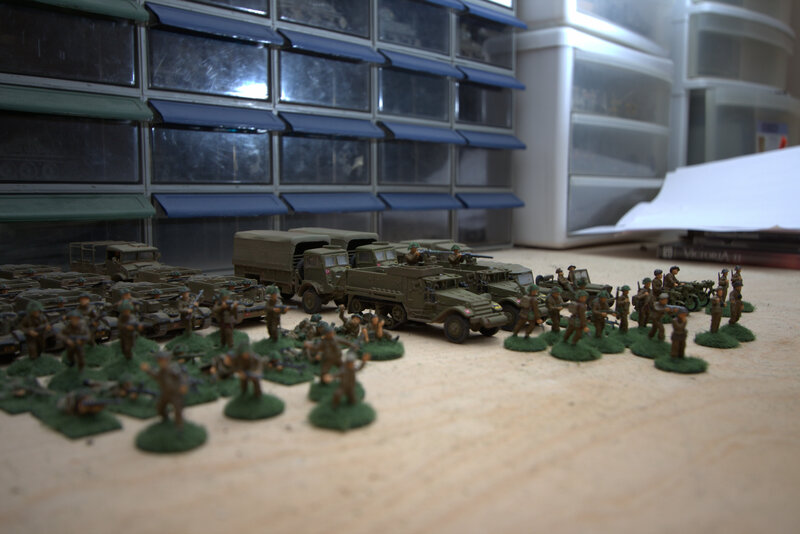 For the British soldiers I mostly use Vallejo and Tamiya. For the British vehicle base colour I use Humbrol.